I’ve come across some good gluten-free products lately and wanted to share some of them. — I’ve tried a bunch of different gluten-free snack bars and it’s hard to find the elusive bar that is crunchy, but not hard; sweet but not sugary; soft but not crumbly. KIND has mastered that mix with bars full of nuts, fruit and not too much else. 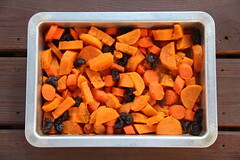 I like the texture — you can taste the various ingredients, instead of them being blended together. My favorite KIND bar is the Dark Chocolate Cherry Cashew bar. 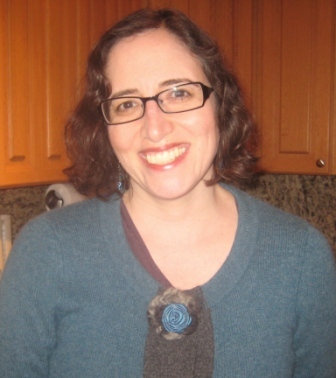 I’m a chocoholic, so I love the combination of dark chocolate and moist cherries. It tastes like candy, but it’s healthier than a Snickers bar, so I feel justified in having one for a snack. The kind folks at KIND sent me some bars to review a couple of months ago, but I haven’t managed to get the post up till now. In their “Nuts and Spices” line, two new bars (well “new” as of a couple months ago – sorry about that) have an intriguing salty, spicy, sweet mix, with nothing artificial and 5g of sugar or less per bar (qualifying them as low-glycemic). In the Dark Chocolate Chili Almond bar, the dark chocolate provides a balance to the nuts, while the cascabel, ancho and habanero chilies provide a slightly spicy kick that lingers but is not too overwhelming. The Maple Glazed Pecan & Sea Salt bar contains almonds, peanuts and pecans. The overall taste is of salted peanuts with a touch of maple syrup. Expect some new bars from KIND in the near future. 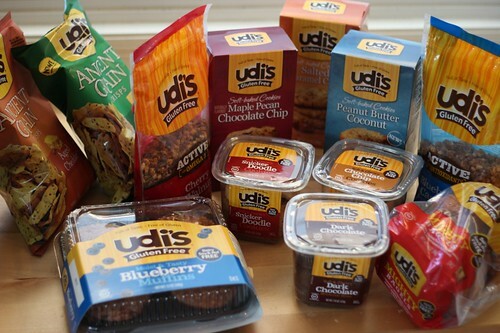 — Trader Joe’s has some new gluten-free treats. 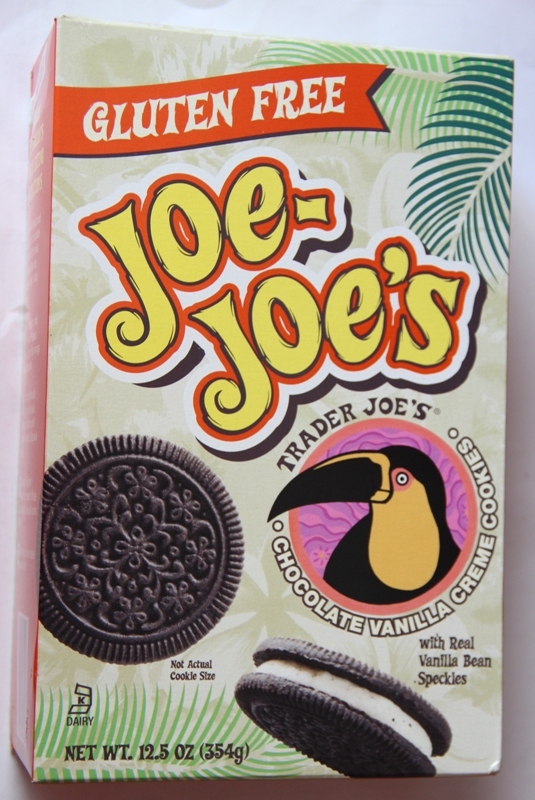 I’ve read some raves about the gluten-free Joe-Joe’s, a gluten-free version of an Oreo cookie. While I do like the Joe-Joe’s (especially their low price and easy availability at Trader Joe’s), my favorite gluten-free Oreo-type cookie is still KinniKinnick’s KinniToos chocolate vanilla sandwich cookies. 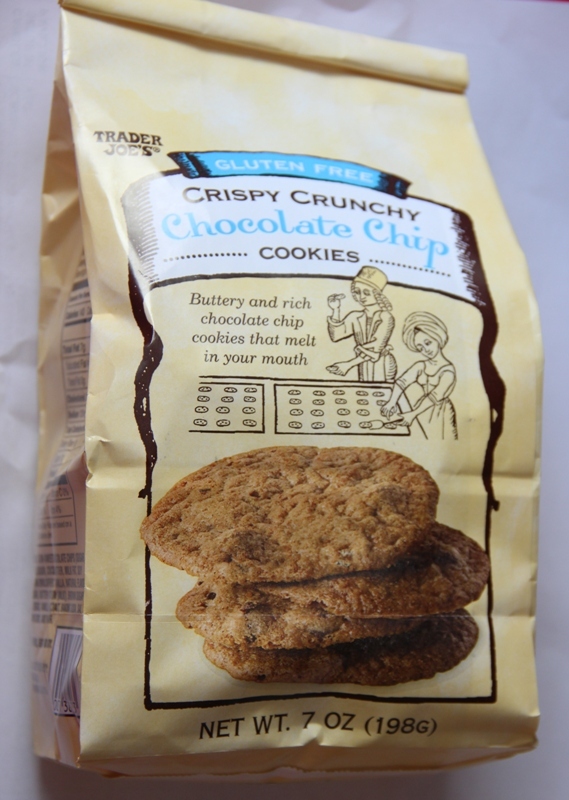 My favorite new product at Trader Joe’s are the Gluten-Free Crispy Crunchy Chocolate Chip Cookies. These crisp cookies have a delicate, buttery homemade taste, like you pulled them out of your oven earlier that day. They are a knock-off of Tate’s Bake Shop Gluten-Free Chocolate Chip Cookies, which also taste homemade but are much harder to find, at least in my neck of the woods. 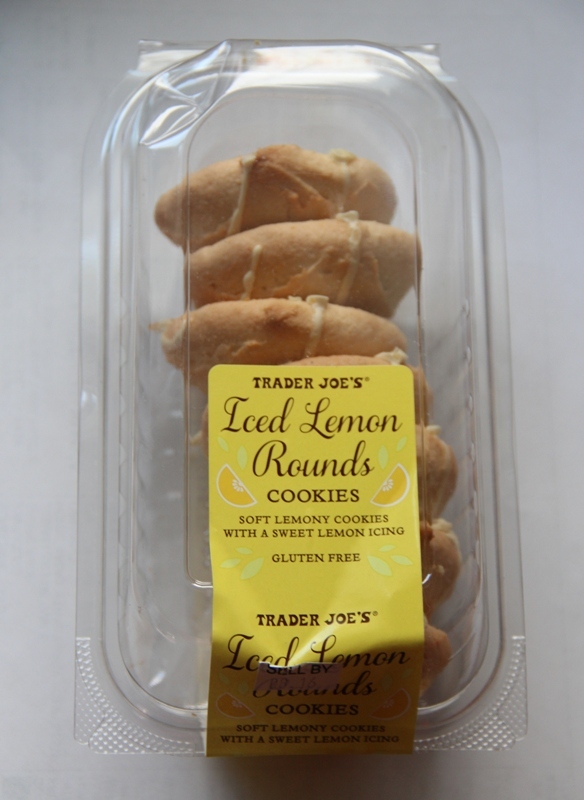 Also, I love Italian lemon knot cookies, so I was excited to see Trader Joe’s Gluten-Free Iced Lemon Rounds. These are soft, slightly lemony cookies with a drizzle of icing and no grainy taste. — Recently, I was walking on Taylor Street in Chicago’s Little Italy neighborhood and stopped at Conte Di Savoia, an Italian deli/grocery. I was excited to discover Leo’s Gluten-Free frozen ravioli, gnocchi, fettuccine and other gluten-free pasta. I was particularly excited about the gluten-free ravioli, because it’s hard to find. The butternut squash ravioli was fantastic, with a tender pasta pillow and tasty butternut squash filling. The ravioli also comes in four-cheese, spinach and cheese, and Portobello varieties. Their gluten-free stuffed gnocchi is filled with asiago cheese, spinach and cheese, or Portobello mushroom fillings. The folks at Leo’s Gluten Free spent two years perfecting their gluten-free pasta and just started selling it to stores and restaurants in April. The pasta is made in their dedicated gluten-free facility in Franklin Park, Ill.